Pages in the Caves… are you going? I’m going to Cave City, Kentucky on September 24th! It’s going to be an awesome day… and you’ll meet lots of new/favorite authors . . . plus it sounds like you’ll need a big tote bag for all the really cool swag! Here’s your chance to get in FREE to the event! Leave a comment below for your chance to WIN a FREE ticket to this AWESOME event! Here’s a bit more about the event. . . 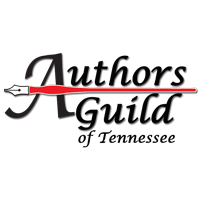 Pages in the Caves is a multi-genre author event and signing coming to Cave City, KY on Saturday, September 24, 2016. Come visit with the authors and learn about their stories. Books will be available for purchase and the authors are always happy to sign them personally to you. The event will be held from 11 – 3 CDT, and for VIP ticket holders, there will be a catered dinner with the authors at 6:30. Only a limited number of VIP tickets are available, so don’t delay. Buy yours today. Here is the Facebook page, Twitter profile, and Pinterest board! Next Post Blessings… or complaints!